Odisha Power Transmission Corporation Limited Recruitment Notification 2018.OPTCL inviting applications for the positions of MT (Electrical).Interested and Eligible candidates can apply for the positions. Eligibility criteria, selection process, terms and conditions can be known by referring the official site. 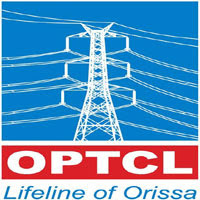 Mode of applying for OPTCL recruitment is through online. The portal link will be active from 28th August 2018 to 27th September 2018.
www.optcl.co.in is the link for applicants to apply directly.